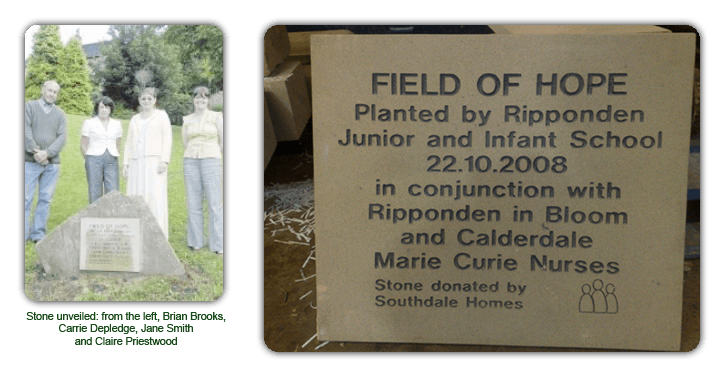 A MEMORIAL stone commemorating a village's Field Of Hope has been unveiled. The monument marks a meadow of more than 1,000 daffodils “each one said to symbolise the memory of a loved one“ in Ripponden. Jayne Smith, of Ripponden In Bloom which is behind the project, said: "The flowers look glorious but we wanted people to know they have some significance which is where the stone comes in." A book in nearby St Bartholomew's Church contains details of who the flowers are for.